What to do with an old and outdated fake fireplace? A lot more than my hair-do has changed in 40+ years. See that fireplace in the background? That baby was state-of-the-art in its day. 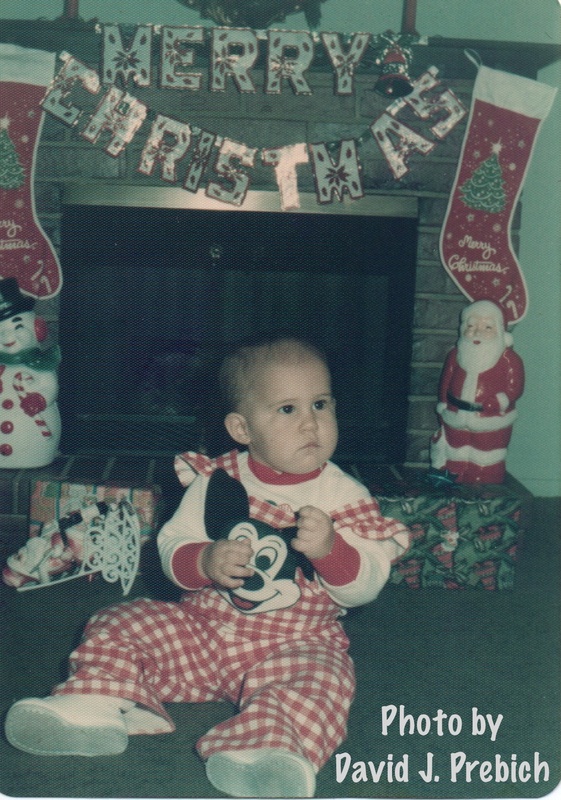 When I rediscovered it on a “shopping trip” to my Mom’s basement a few years ago, its plastic bricks and cellophane yule log were as outdated as those bell bottom overalls I’m wearing in the photo. Although the fireplace was old and outdated, it was the perfect size for an empty little corner in my living room. We needed a spot to hang our stockings—and the price is always right whenever I go “shopping” for stuff in Mom’s basement. 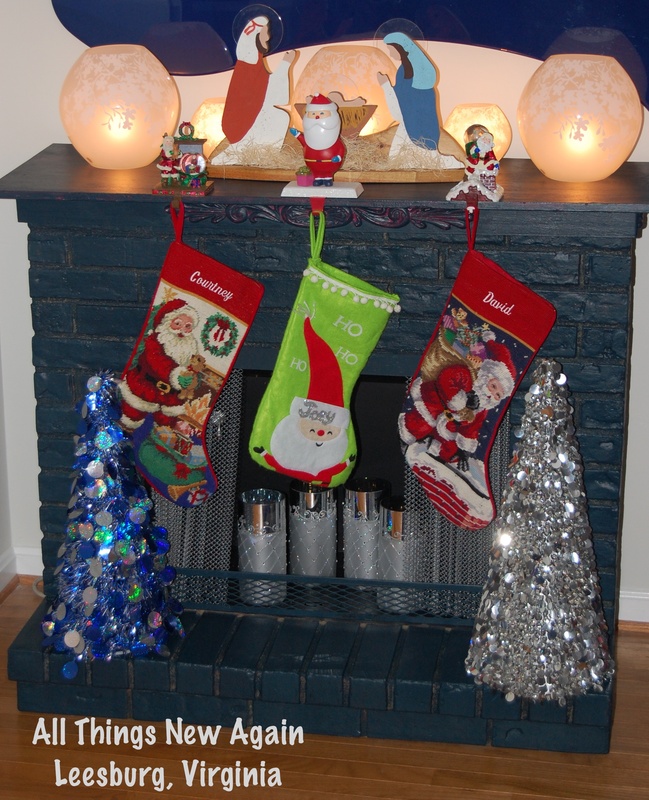 I decided to up-cycle this fake fireplace with a DIY paint makeover. I originally painted the top of the fake fireplace white, but that seemed kind of boring. 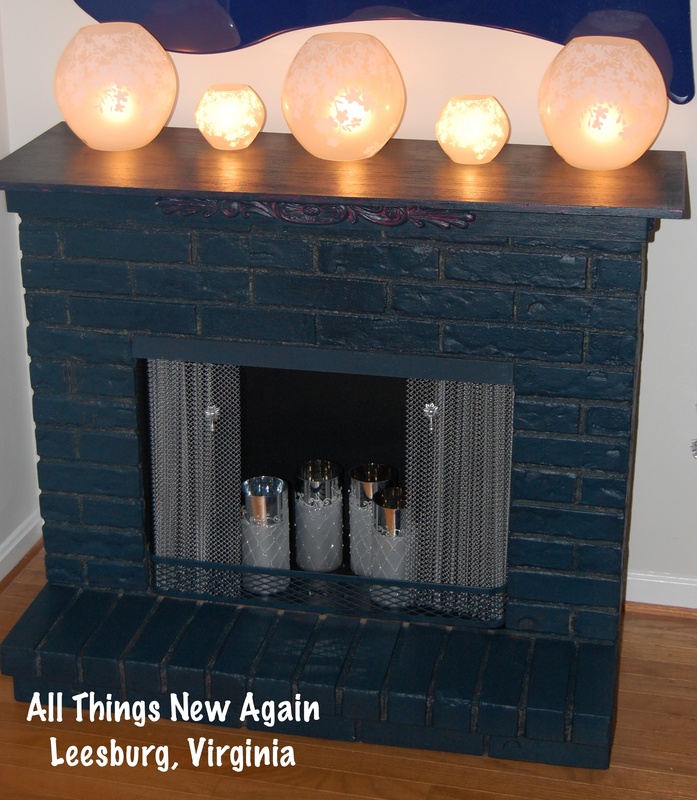 If you are going to DIY an old and outdated fake fireplace into a statement piece for your home, you might as well go for it. So I painted the top hot pink. 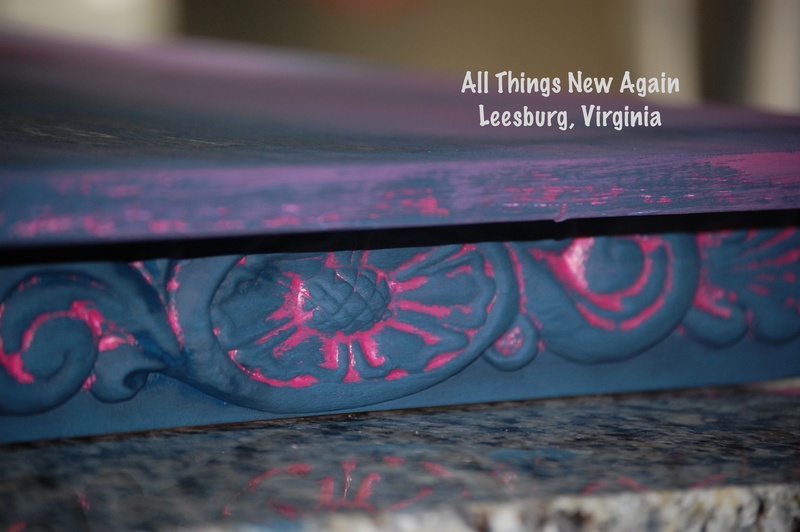 Then I chickened out on the hot pink and swirled in some navy blue. Here’s what it looked like. 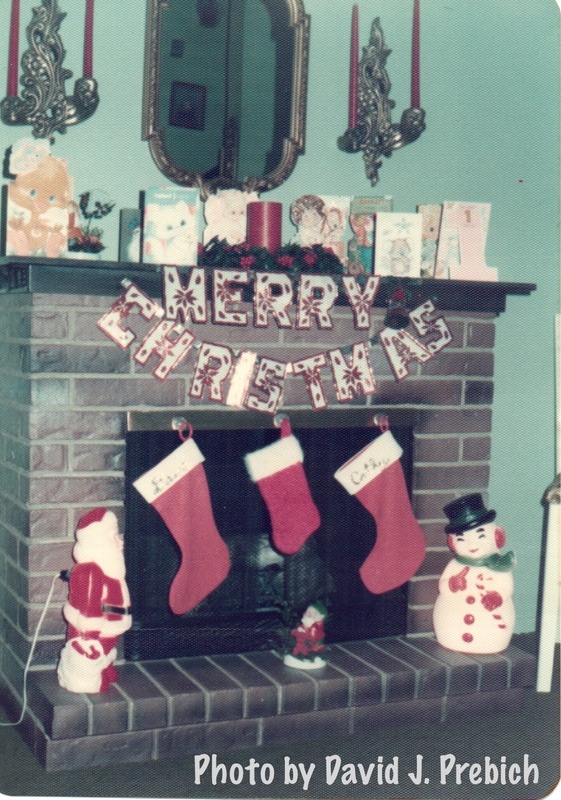 When I stepped back to look at the entire mantle, it seemed a little bit “too pink”. No problem! 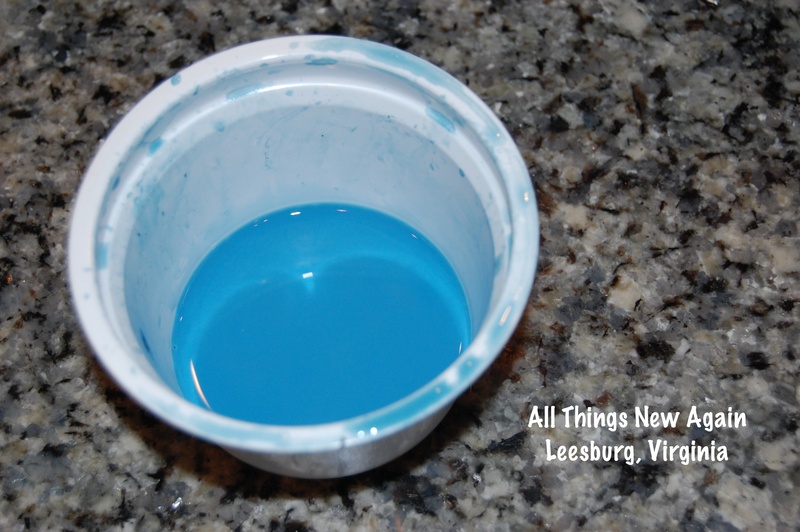 I just came back with more of the blue (then a little more pink, then a little more blue again) until I achieved a balance between the two colors that looked wonderful to me. The entire process took about 30 minutes. After the paint dried, I distressed the appliqués with a damp washcloth so a lot of the pink and a little bit of my original white spray paint showed through. 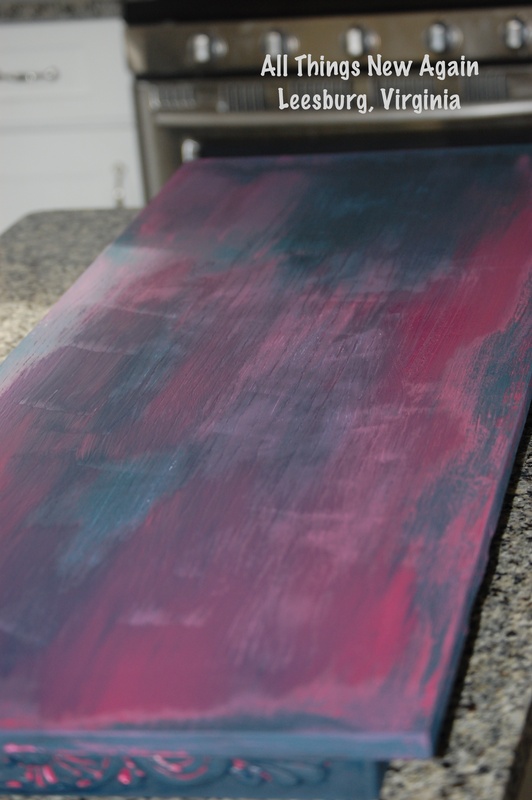 Then I sealed the entire piece with top coat, but I added a few drops of navy blue paint to the top coat before brushing it on. This was the magic potion! My slightly blue top coat did not cover up the pink, but it toned down the color just enough to get the “subtle hot pink” look I was going for. That’s the nice thing about paint. You can change your mind, change direction and keep tweaking the project until you get a look you love. The final product was not what I originally had in mind, but I am really happy with how it turned out. It’s kind of hard to “ruin” fake plastic bricks from the 1970’s! 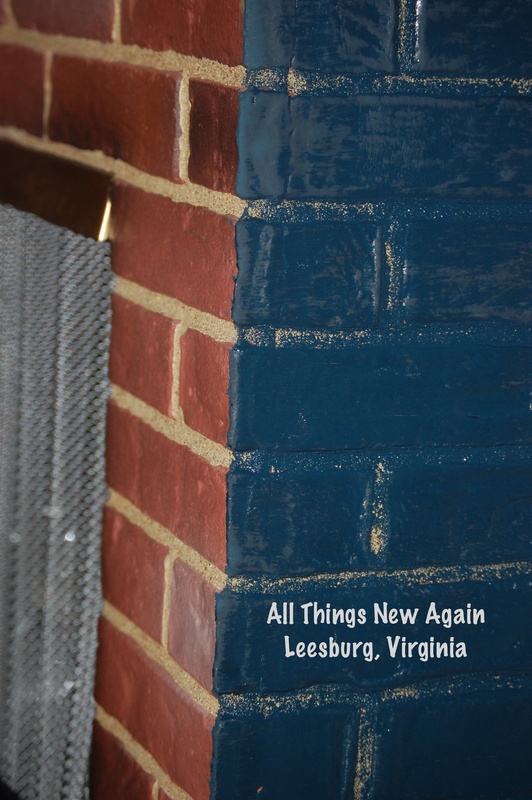 For the bottom half of the fireplace, I painted the bricks solid navy blue. (No hot pink here!) I dry brushed the “grout” lines so some of the original color showed through to give the bricks some dimension. I finished by sealing the bricks with more top coat. “Wow!” my husband said when he saw it. 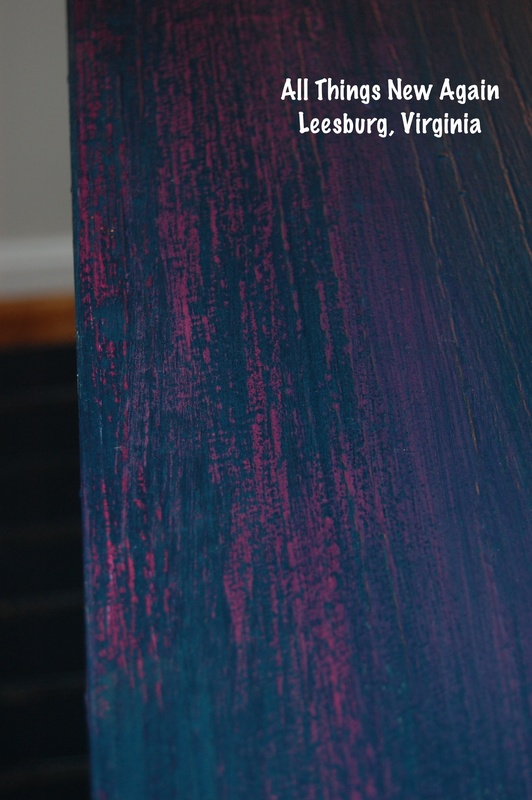 He is not the kind of guy who ways “Wow!” very often or who gets excited about hot pink-and-blue-painted-fake-fireplaces. At first I wasn’t sure if it was a good “Wow!” or a You-Are-Crazy-Wow, but then he said something else. 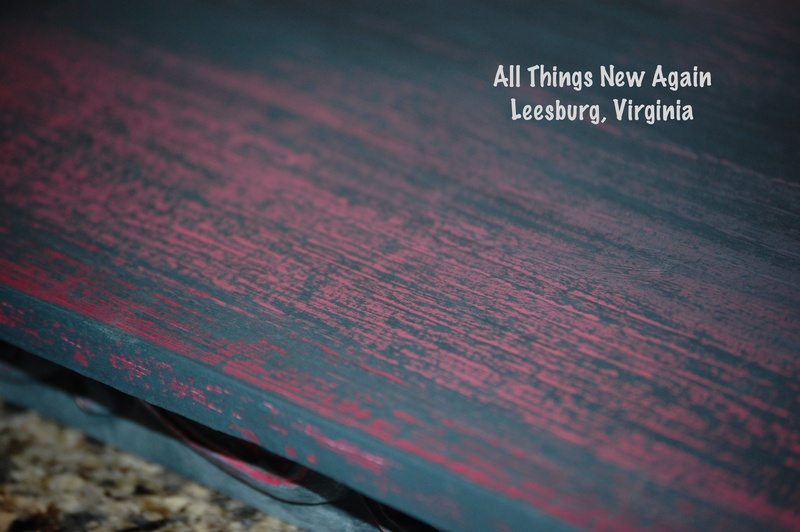 All Things New Again is a family-owned furniture and paint boutique in Leesburg, VA, about an hour or so west of Washington, D.C. We sell hand-painted furniture, several lines of paint for your next DIY project, and offer fun painting classes and workshops. 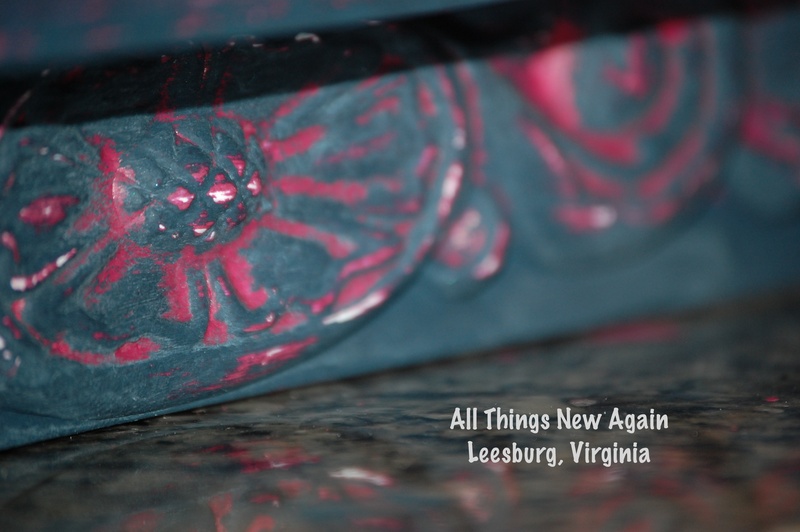 Stop by the next time you are in town!